Scripturalist Publications is an apologetics and theology publishing house seeking to equip Christians with tools for understanding and defending the faith. We aim to do this through original publications, as well as republished older works. Feel free to check out our selection of works below. Some of these are presently available, others are works in progress. If you would like to keep up to date on our publications, please like and follow us on Facebook. Authors: Hiram R. Diaz III, Marshall Randles, Henry M. Constable. Athanasius of Alexandria, the famous defender of the doctrine of the Trinity, has recently been co-opted by contemporary annihilationists. But was he an annihilationist? 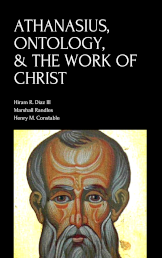 In this work, three writers answer this question in the negative, showing from church history, contemporary Athanasian scholarship, and the writings of Athanasius himself that the father was not in any way an annihilationist. Some proponents of annihilationism teach that the souls of those who die enter a state of absolute unconsciousness. They claim they derive this teaching from the "literal meaning of the imagery of sleep" in the Bible. However, this is not the case, as Hiram R. Diaz III shows by an exhaustive examination of the literal imagery of sleep in the Scriptures. The conclusion? 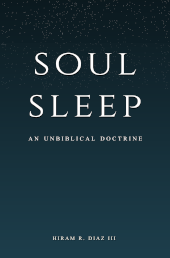 If the imagery of sleep is based on literal sleep, then it cannot serve as the basis for the false doctrine of "soul sleep." This book is endorsed by apologists Phil Fernandes, Michael R. Burgos Jr., and by Dr. Jeremiah Mutie (whose full review can be read here). Philosophy is a means to an end - so if your intention is to be an enemy of God, your philosophy will follow. Yet, as Hiram's testimony demonstrates, there is a price to pay for suppressing the truth about God in unrighteousness. 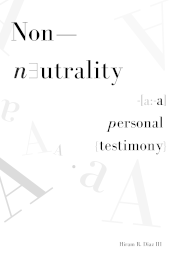 In Non-Neutrality: A Personal Testimony, join Hiram R. Diaz III as he details his conversion from atheism, apostasy, and intellectual insanity to faith in the Logic of God, Jesus Christ the crucified, resurrected, and exalted Savior of sinners. One of the most used Unitarian proof-texts is Mark 12:28-34, wherein the Lord Jesus affirms the Shema of Deuteronomy 6:4-5, and further identifies his interlocutor’s reaffirmation of the Shema as being a wise answer. Because Christ affirms this monotheistic creed and, more than this, reaffirms the creed as articulated by a Jewish interlocutor, and does not correct the scribe for his strict monotheism (the unitarian assumes), then it follows that Jesus was also a unitarian monotheist. The argument has a prima facie punch, but once the underlying assumptions made by the unitarian are revealed, and once the text of Scripture is read closely on its own terms, it quickly becomes apparent that the unitarian’s argument is logically incoherent and biblically unjustifiable. 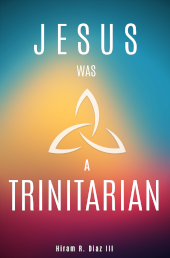 Jesus was, is, and will forever be a Trinitarian.